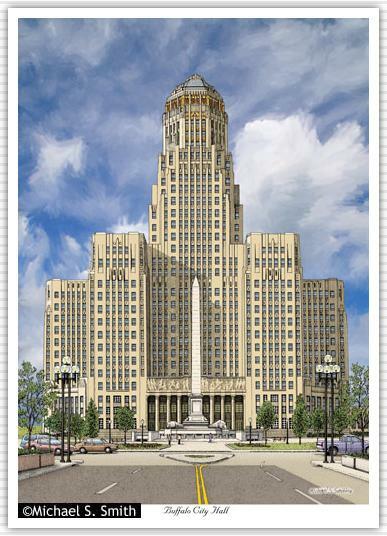 A beautiful example of Art Deco architecture, the twenty-eight floor Buffalo City Hall was constructed between 1929-1931 at a cost of $7,000,000. Directly in front of the building are Niagara Square and the McKinley Monument. Erected in 1907, the monument honors President William McKinley who was assassinated in Buffalo while attending the 1901 Pan-American Exposition.